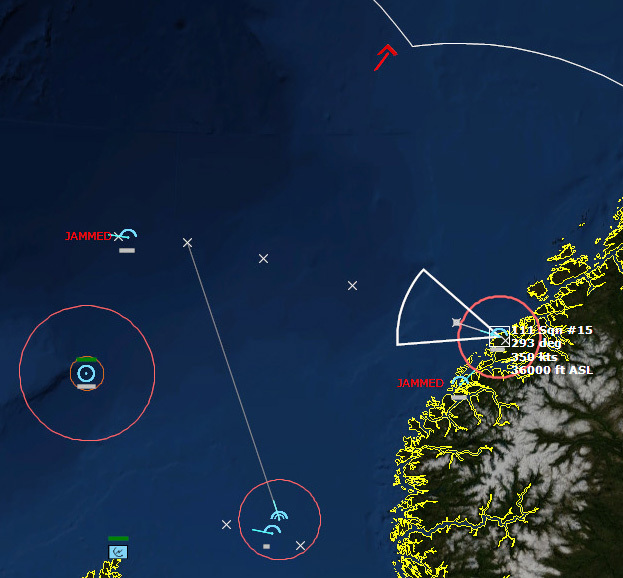 For the past few weeks northern Norwegian airfields have been pummeled by Soviet forces, rendering them unsuitable for fixed-wing operations. Forward-deployed RAF units have now withdrawn to airbases in Scotland to bolster home defence. 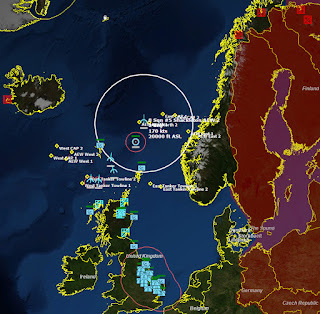 So far the United Kingdom has not been directly attacked; but now intelligence has suggested that the UKADGE and northern airfields are next on the target list. 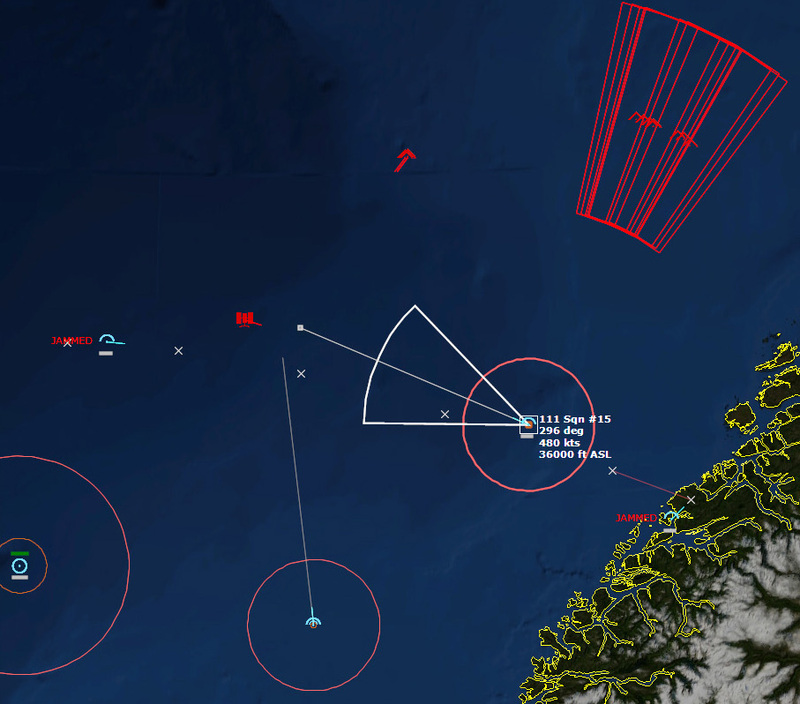 Recon flights and satellite imagery have detected multiple bomber regiments fueled and armed with supporting assets in the Kola Peninsula. 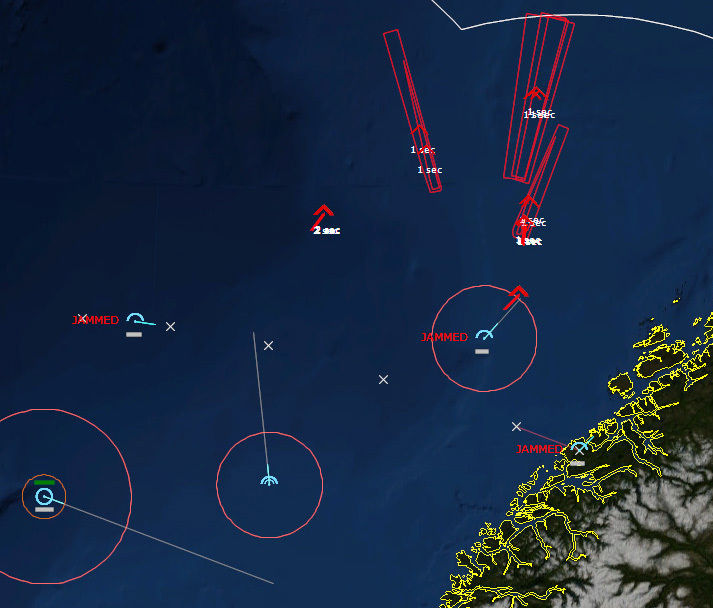 These forces are expected to be the spearhead of an attack on the UK mainland. Will the RAF be able to protect the Crown and country once more? 43 and 111 Sqn at RAF Leuchars have been brought up to strength with additional Phantoms from storage. 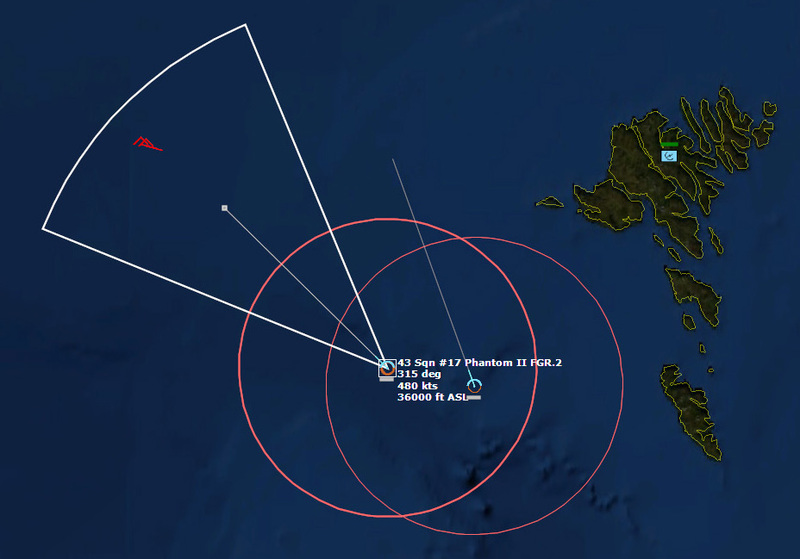 43 Sqn has been forward-deployed to RAF Stornoway, while 5 Sqn Lightnings from Leaming have now forward-deployed to RAF Wick for additional point defence and interception tasking. Intelligence strongly suggests a coming Soviet major attack against northern UK. Main targets will likely be UKADGE Sites in Scotland and the Outer Isles. 8 Sqn flying the venerable AEW Shackleton are now on round-the-clock patrol 200nm north of Scotland for early detection of possible raids. 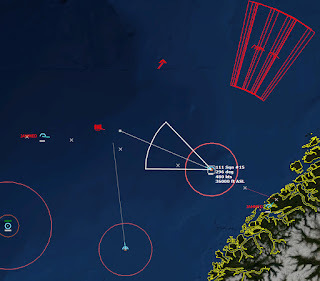 HMS Bristol is set up-threat as a SAM trap to thin any raids inbound. 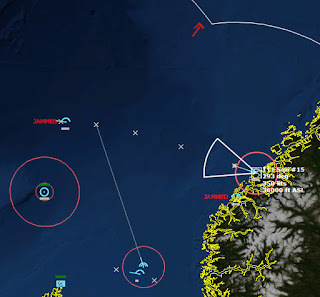 Latest intel has indicated a Regiment of Tu-128 Fiddler interceptors are based at Bardufoss air base, and one regiment of Su-24 Fencer strike aircraft in Iceland. 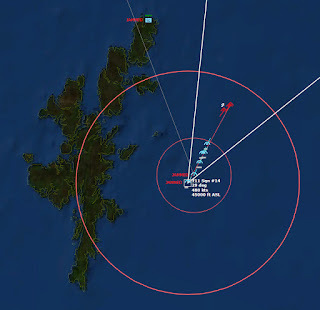 Prevent Soviet strikes on mainland United Kingdom. 1. 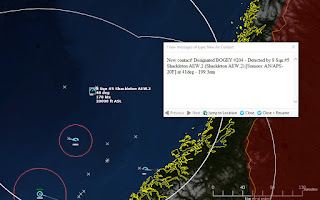 Deploy AEW Shackletons as required for long-range detection of incoming raids. 2. 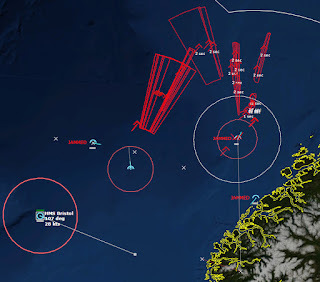 HMS Bristol to be deployed up-threat as SAM trap. 3. 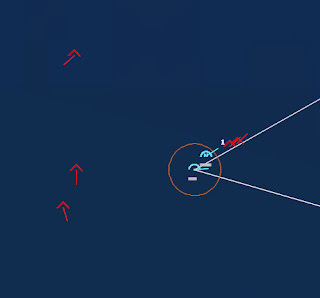 Use your Phantoms and Lightnings in their optimum roles, as long-range CAP and point-defence respectively. The Reds were coming. Squadron Leader Mark Bolling sat at his control station in the venerable Shackleton AEW.2 high over the ocean. As long as the Shackleton was on station, he would be controlling the battle. Ultimately the Air Marshal at RAF Boulmer Control and Reporting Centre (CRC) was in nominal command, but Bolling was at the tip of the spear. It was he would would issue the orders to direct what interceptors where and when, to stop the Soviet attack. 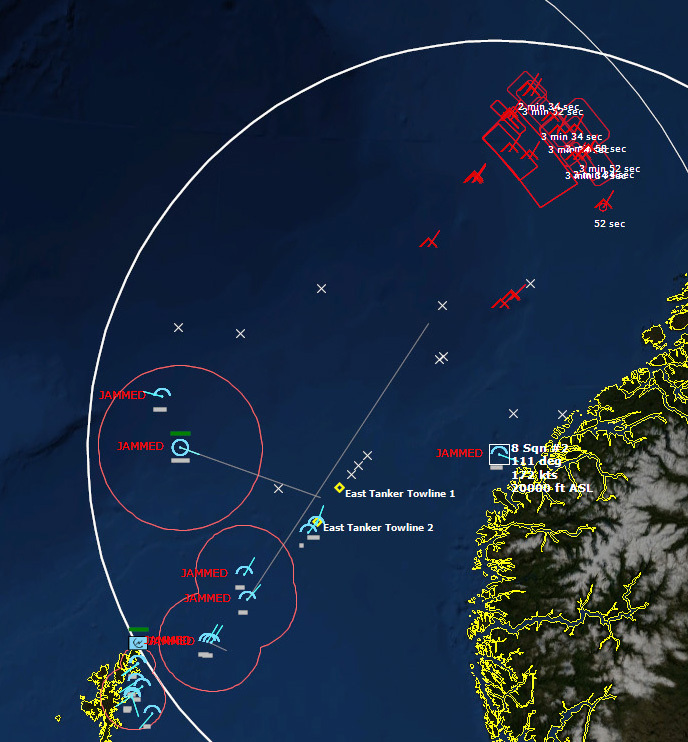 Intelligence had it that the the Soviets were planning a major attack on the UK mainland from its bases in northern Norway, the Kola Peninsula, and Iceland. The war had already taxed the RAF severely, and there were limited assets to fend off the next blow. Today he knew he was going to have his hands full. On board the Shackleton the controllers were all in a row, sitting sideways in the cramped aircraft, facing their consoles with the starboard side of the fuselage behind them. Bolling could look to the right and see the cockpit, and look to his left and see the other controllers, wedged in between all of the equipment. Each man could stand up (slightly stooped), but that was about it. 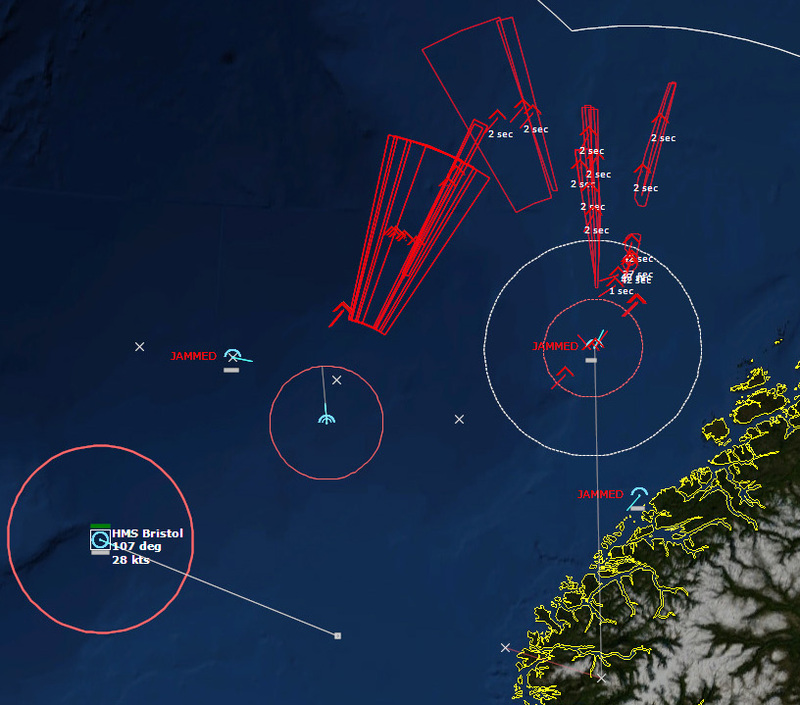 Intelligence indicated that the attack would come soon, so two of the three remaining Shackletons were being launched from RAF Lossiemouth in Scotland, one to cover the approaches from Iceland west of the Faroe Islands, and the other over Norway near Trondheim Fjord. 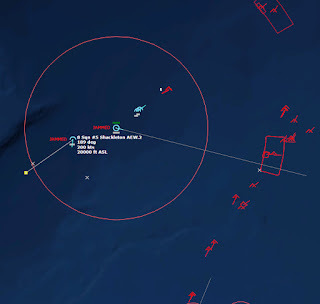 With their combined radar coverage, no raid would be able to slip by. Each Shackleton had a pair of F-4s to guard them, and each sector--east and west, had both a separate CAP and tankers assigned to it. 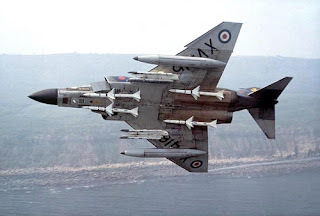 The Lightning Interceptors would stay on the ground until they were needed. They had short legs so they could not afford to go airborne before then. 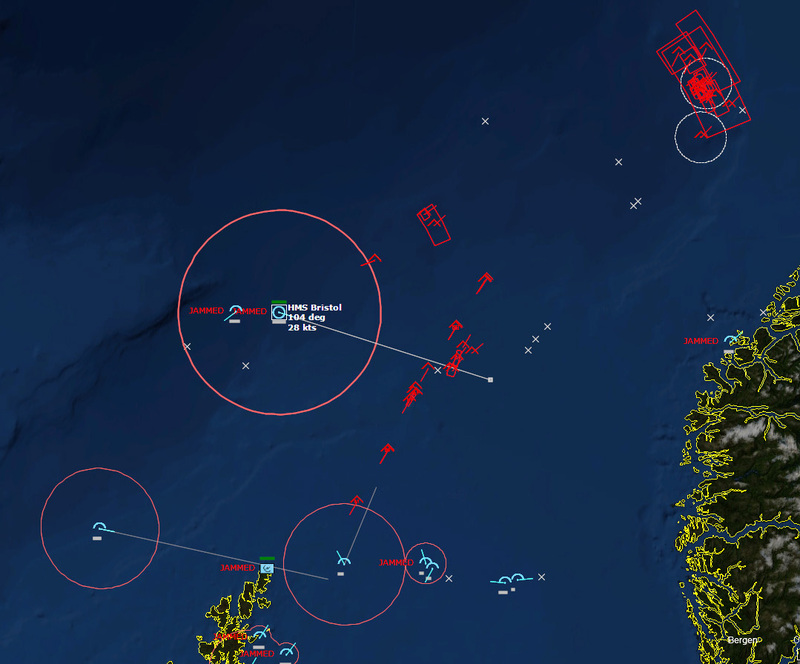 HMS Bristol maneuvered in the Norwegian Sea east of the Faroe Islands and north of the Shetlands, radars off, waiting for any unwary Soviets to fly overhead. 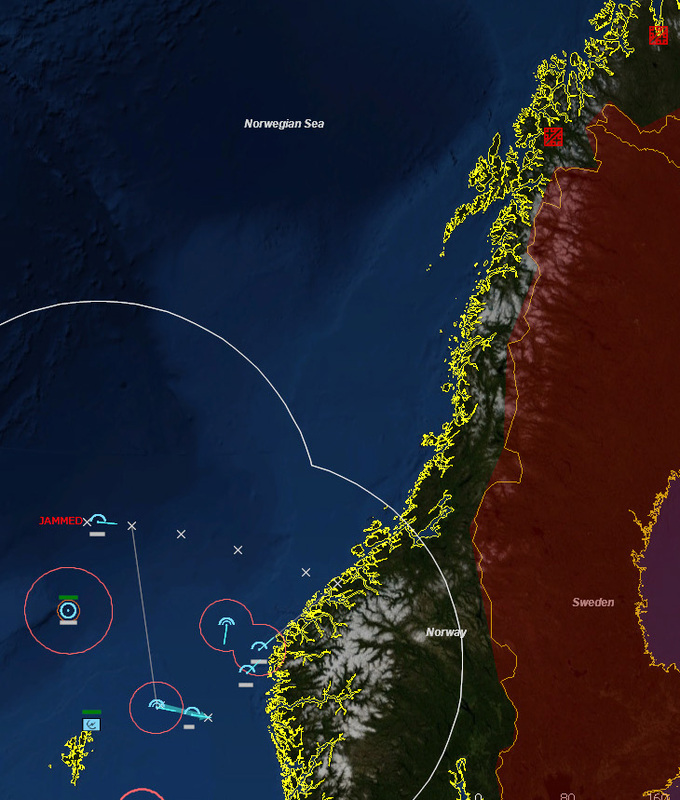 It headed eastwards, anticipating the most likely approach of any raids from northern Norway. 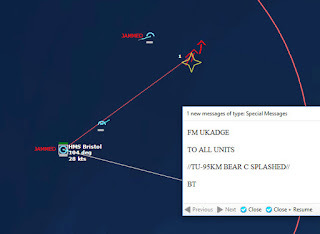 It did not take long for the Shackleton's radar to detect the first Soviet movements. "Contact, four-ship, bearing 275 for 200 miles from Faroes RP." 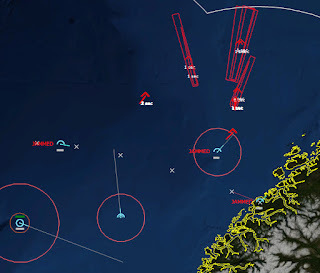 If the Soviets were initiating a major attack, they likely would target the forward deployed radar stations in the hopes of blinding the NATO forces before the main raid took place. "They're probably going for the Reporting Post," Bolling speculated aloud. A pair of F-4 Phantoms was headed to their CAP station, and Bolling ordered them rerouted to an intercept course. "Contact lost," came the report a few seconds later. "They probably dropped altitude," Bolling said. "The Phantoms will pick them up as they close in." Confirming his suspicions, several minutes later the Phantoms reported in. "Sentry, Gamecock 91. Contact on the bogies, Angels One." 101721Z The Phantoms closed the range and shot down all four Su-24 Fencers. Not bad, Bolling though, but this is just the beginning. In shooting down the Fencers, the Phantoms expended all of their Sparrows, so Bolling ordered them home. The sooner they got home, the faster they could rearm and refuel for the coming battle ahead. 114226Z "Sir, we're getting some jamming." The radar scopes on board the Shackleton turned to hash. The raid was was on its way, and it would take a while before the Shackleton's radar burned through the jamming. 121419Z "Sir, we have multiple contacts, designate Raid 1." "Raid count is fourteen aircraft." Flight Lieutenant David Lynch, in an F-4 Phantom II FGR.2, was the first pilot ordered to intercept. 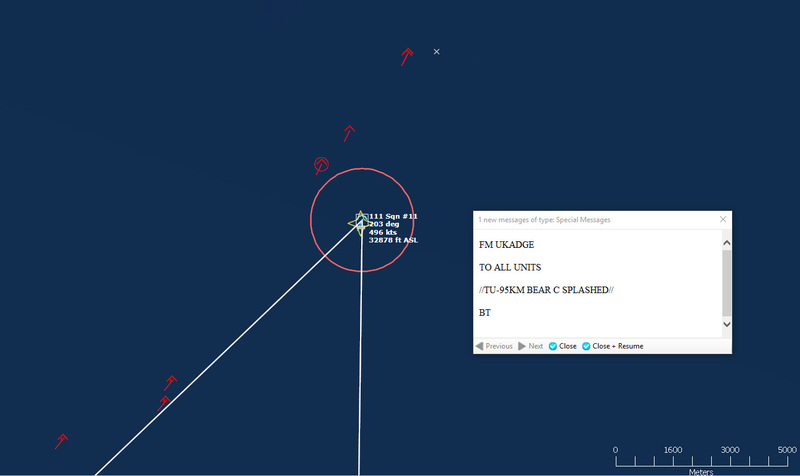 His wingman had to RTB early with engine trouble, so his Phantom was meeting the raid head on, all alone. "Sentry, Scorcher 81, Fox One!" And then a short time later, "Good kill! I have visual, splash one Bear Charlie." F-4 Phantom II FGR.2 from 111 Sqn. "Copy, Scorcher. Raid count is now twenty-four." 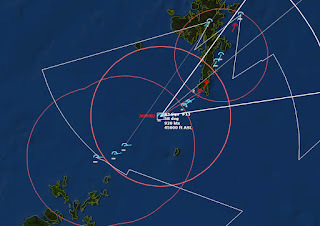 Sqn Ldr Bolling considering diverting some F-4s from his western CAPs, but he was still concerned about a pincer attack by Fencers out of Iceland. For now, the eastern Phantoms were on their own. Scorcher 81 was out in front, and another pair of Phantoms was closing in to support but it would be some time before they got there. "Sentry, Scorcher 81, splash two Bear Charlie. I am engaged defensive." Flt. 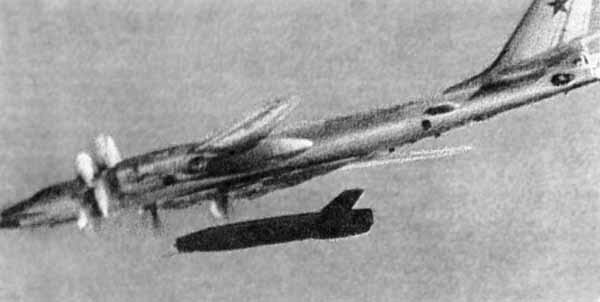 Lt. Lynch dodged hard as the Bears' escorts, Tu-128 Fiddler As, began firing missiles. No less than six Fiddlers had begun to engage him, and Lynch maneuvered his Phantom to go on the offensive. His Phantom was not the nimblest of dogfighters, but the Fiddlers were far, far worse. His best chance of survival was the Fiddlers was to duke it out. Lynch maneuvered behind a Fiddler and launched a Sidewinder, bringing it down, and then his wingman. These things turn as bad as bombers, he thought to himself. He lined up on another Fiddler, closing in fast. "Fox two! Miss." The Phantom and the Fiddler turned together at 1600 ft ASL. Lynch couldn't turn hard enough to take out the first Fiddler, but there was another a little further away, so he sent a Sidewinder after that one, killing it. He had made ace in a single mission. He closed into gun range with the original Fiddler and opened up, killing it. "Splash Six!" he called out jubilantly. "Who's next!" The two remaining Fiddlers turned and ran, Lynch's Phantom in hot pursuit. 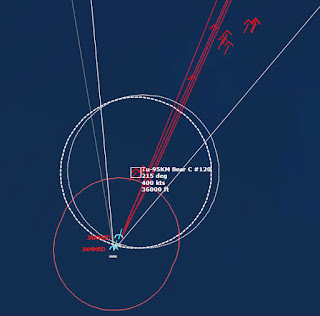 Lynch's Phantom was whittling down a tiny portion of the inbound raid, but more and more aircraft appeared on the scopes. "Raid count is thirty-four." "Correction, raid count is now forty." Some of those were escorts, and some were jammers, but a large amount of them were bombers. Lynch closed in on the retreating Fiddler, low on both fuel and ammunition. 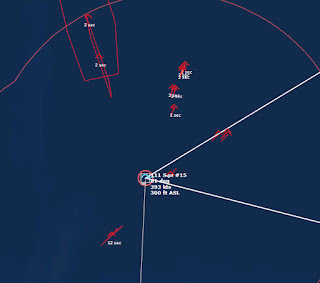 "We need to break off," Lynch's backseater warned, looking at the radar picture which showed six more Fiddlers closing in. "I'm going to get this bugger!" 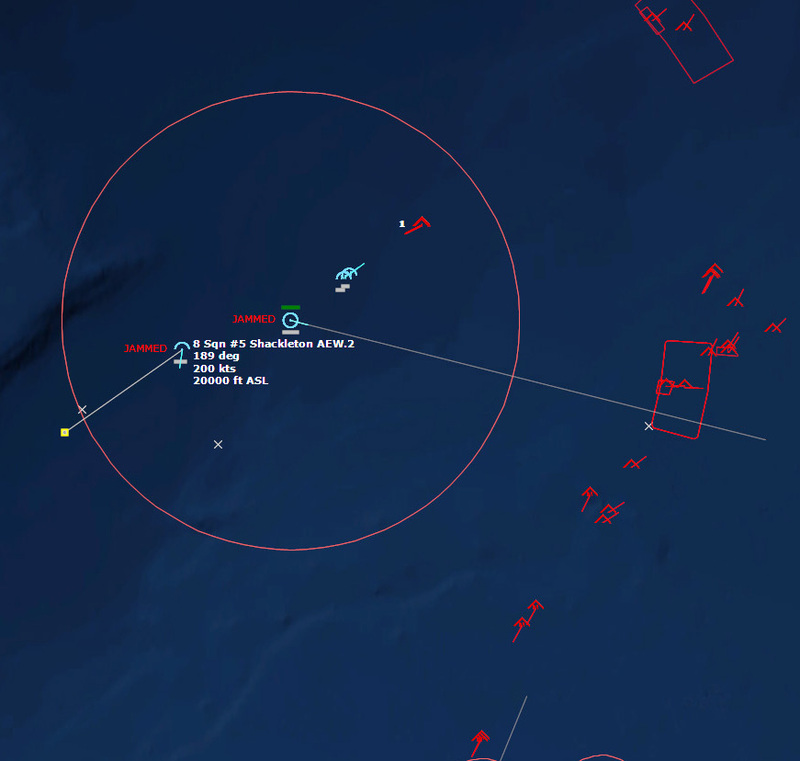 Lynch accelerated, overshooting his target and breaking left to evade the missiles. Both AA-5 Ashes soared past the Phantom, and Lynch was grateful they weren't that accurate. How many have I dodged already? he thought. Six? "Scorcher 81, Sentry, break off," Sqn Ldr Bolling ordered. He could sense by Flt. Lt. Lynch's voice that he was keyed up from all of his kills and not thinking straight. With the Phantom undoubtedly running low on fuel and out of missiles, it was better to preserve both the aircraft and its crew rather than throw it away against more escorts. "Negative, Sentry, we still have some bullets left. We're taking out as many as we can." Bolling was about to repeat the order for Lynch to break off, but then his attention was drawn to another engagement. 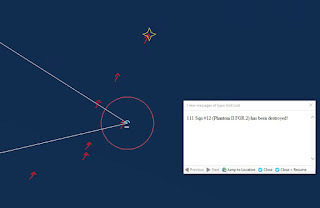 Farther west, two more Phantoms had gotten within range of a flight of Bears. The two Phantoms splashed three Bears, and Bolling turned his attention back to Lynch's fighter. Lynch maneuvered wildly, his fuel state becoming critical. He was now engaged with eight enemy fighters, and only had enough bursts in his gun for five shots. "Lynch, we're bingo," called his backseater, his voice tinged with worry. "We need to get out of here. Missiles inbound!" 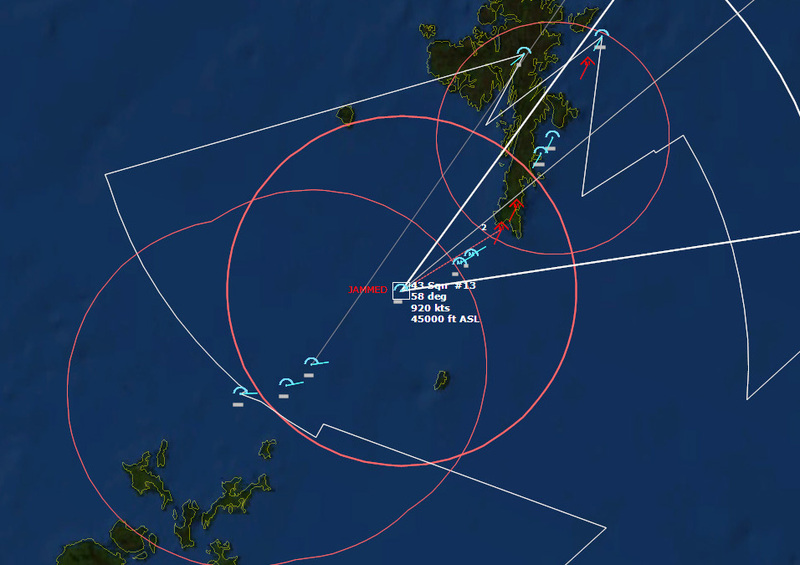 Lynch slammed the Phantom into another hard turn, and dodged the ninth and tenth missile launched at him that day. He cursed and then turned the Phantom south. Six kills would have to be enough. It was time to go home. The two western Phantoms together wiped out a section of six Fiddlers, killing three with Sidewinders and then the remaining three with guns. Bolling directed them to head after another flight of Bears. Lynch's Phantom headed south, and the Fiddlers followed, hoping to get their revenge. One by one they took turns shooting AA-5 Ashes at him, and each time he was forced to turn hard to avoid them. 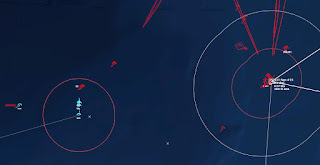 He had dodged fifteen missiles already when the sixteenth forced him to pull the Phantom into another turn. His hand shook on the stick from exhaustion. 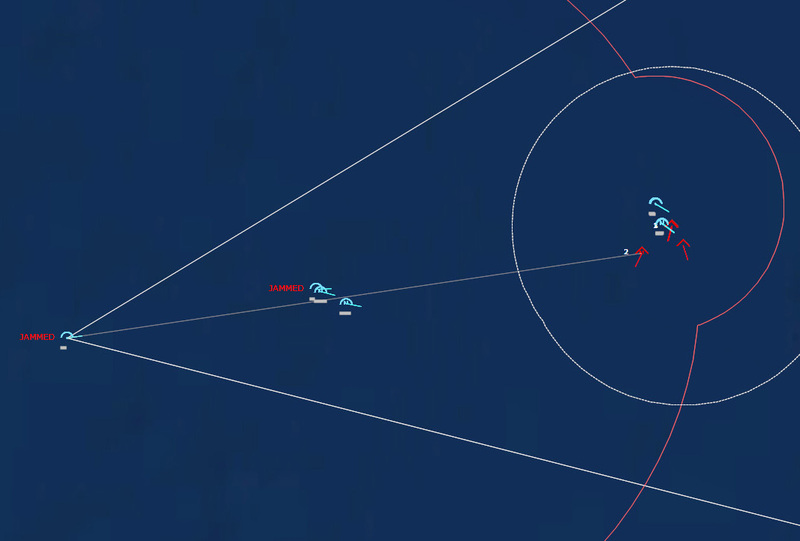 The missile streaked in, and he almost dodged it. The warhead detonated, shredding the tail and aft fuselage with fragments. The Phantom shook violently, but he managed to level off. "Eject! Eject! Eject!" Lynch's chute was good, and to his relief he could see his backseater's as well. Below the ocean looked huge and blue. 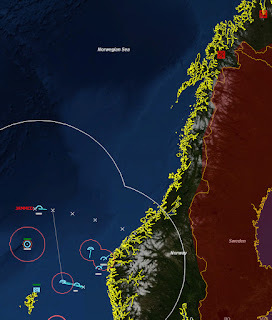 He knew that Trondheim Fjord was maybe 100 miles to his east, and with the Norwegian Sea sanitized of Soviets, there was a chance he'd be rescued. 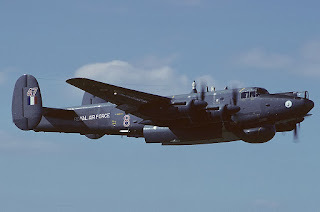 After Lynch's Scorcher 81 was shot down, the flight of six Fiddlers, out of SARH missiles, turned and headed for home. Gamecock 31 and 32, the two other engaged Phantoms, closed on a trio of Tu-95KM Bear Cs, with only their guns, but they were unlucky On their first pass, Gamecock 32 was shot down by a lucky shot from the lead Bear's tailgunner, and as Gamecock 31 maneuvered back into position, the gunner shot him down as well. Bolling assessed the situation. 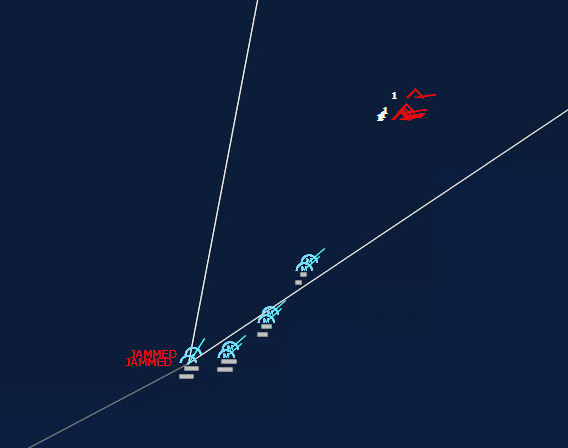 "Seven Fiddlers are bugging out," his controller said, "but three more bogies inbound. Raid One is now thirty-nine aircraft." The next pair of Phantoms closed in on the raid, and Bolling knew it would be a while before more could be launched. 124419Z Scorcher 61 and 62 was the next Phantom flight in range of a lone Bear. It took all of their Sparrows against and finally a Sidewinder to kill it. The amount of missiles needed to bring down a Bear was frustrating. The Phantoms flew on to take on another flight. "How long until those other fighters are ready?" Bolling asked. Scorcher 61 and 62 shot through a formation of Bears at a combined speed of 900kts. They could see tracers in the sky from the Bears' tail gunners. Scorcher 62 lined up a shot. "Fox Two!" 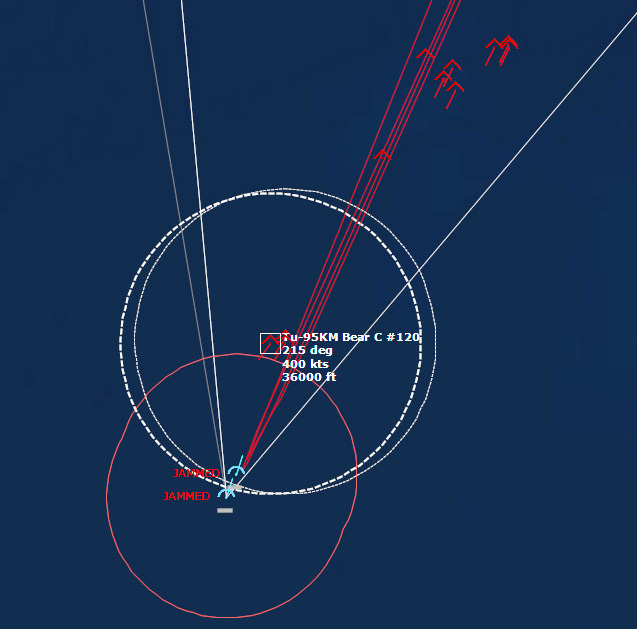 The Sidewinder streaked in and hit the Bear. He quickly lined up on the second. "Fox Two!" 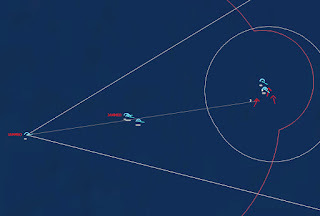 The shot was a little too close, and the missile didn't lock on. Scorcher 61 took his place, killing the Bear with a Sidewinder. Scorcher 62 and the last Bear traded gunshots while Scorcher 61 moved to back him up. "Fox Two! Fox Two!" Scorcher 61 called out, and 62 broke left to get out of the way as the missiles locked on. The first Sidewinder missed, but the second blew the wing off the Bear. Scorcher 62 had two Sidewinders left, while 61 only had guns. Normally with so few weapons left they would head home, but with a raid this size inbound, there was no going home while they still had weapons. "Nearest bogies are 300nm from RAF Wick." "How long until the Phantoms can launch?" "Call Wick and have them start launching Lightnings." 124959Z Scorcher 61 and 62 came into range of another flight of bogies, identifying several as bombers. "Fox two!" Scorcher 61 called, firing off his Sidewinders, both of which failed to track. "No, wait! Vampire! Vampire! That's a cruise missile!" "Sentry, Scorcher 61, we have missile launches from the Bears. Three Vampires, repeat three Vampires!" "We are Winchester, repeat, we are out of missiles." "Plot the course of those vampires," Bolling ordered his technicians, "I need a list of possible targets." 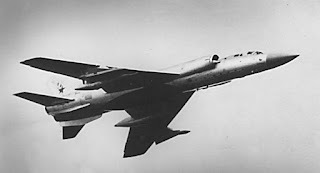 "Sentry, we have have a tally on two Tu-16P Badger Julietts in addition to the Bears," and then, a few seconds later, "I'm hit, I'm hit!" "Sentry, Scorcher 61. 62 has been hit." With all of the Phantoms getting shot down, Bolling was about to order Scorcher 61 to break off when the Phantom's pilot called out, "Splash one Bear!" A few seconds after that, "Splash Two!" Scorcher 61 banked hard to the right and circled around behind the two trailing Badgers. Tracers lit the sky as both of their tail gunners tried to take out the Phantom, and the Phantom returned fire. The Badgers won the duel, and 23mm rounds from their tail guns tore into the Phantom's wings and fuselage, sending it tumbling from the sky. 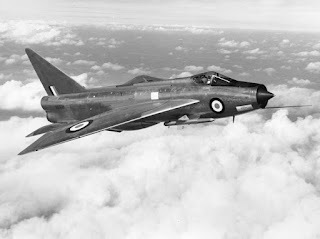 The first four Lightnings took off from RAF Wick, climbing rapidly. 125520Z "Sir, we have multiple bogies entering Bristol's SAM envelope." "Bristol, Sentry, five bogies, bearing 050 for 35 miles, Angels 36. Light 'em up." HMS Bristol, steaming at flank speed to try to get a better shot at the incoming range, lit off its Air Search and Type 909 Illuminator radars. "Birds away!" called out a controller. "Bristol is launching SAMs." Bristol shot down the remaining two Bears, and then turned its attention to the trailing Badgers jammer aircraft. "Sentry, Scorcher 7, we are engaging the inbound Vampires. Fox One!" The pair of Phantoms was forced to expend all of their Sparrows, but they managed to shoot down all three Vampires. "Sir, the Phantoms at Stornoway and Leuchars are ready." 130307Z "Vampire! We have a missile launch!" 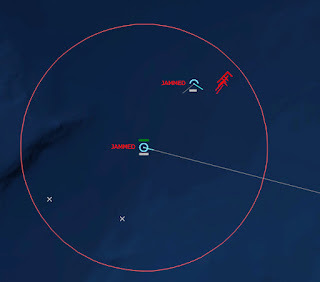 "Sentry, Scorcher 7, we are engaging a Bear Charlie and Badger Juliett-two-ship. Vampire! The Bear just launched! Fox Two!" "Sentry, Gamecock 42, I am engaging the Vampire. Fox One!" Gamecock 42's last Sparrow took out the Vampire, while the Scorchers took out the two Badgers, although they had to use all of their Sidewinders to do it. Scorcher 72 and the Bear each killed the other with guns as close range. Bolling stared at his scope, trying to make sense of the situation. There appeared to be some aircraft heading towards his Shackleton, perhaps Fiddlers, but they were entering Bristol's SAM envelope, so he ignored them. The primary raid was occurring to the east, and the airborne fighters were doing their best to take out the vampires as they were launched. Far to the northeast was a group of Soviet aircraft that appeared to be circling. 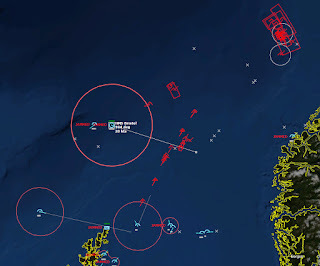 Could they be the tankers? Bolling cursed that he could not send any fighters up there to take it out. The immediate danger was the present raid--they could not let a single Vampire through. Gamecock 41 shot down another vampire. Five vampires were left. More Bears turned and began to head north. HMS Bristol began to fire on the aircraft closing in on it. As a precaution Bolling ordered the Shackleton's pilot to head away from the aircraft--there was no way they could outrun them, but they could delay the intercept long enough for Bristol to deal with them. 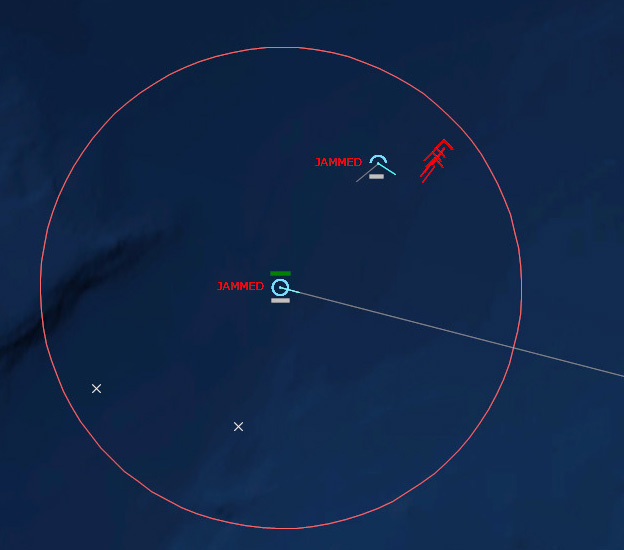 Bristol's first salvo took out a Fiddler, and the others dodged while Bristol launched another. Bristol's Sea Darts took out a second Fiddler, and then a third, and then two more. Gamecock 41 took out a pair of Vampires with its Sidewinders. There were three left. Gamecock 41 was running on fumes, and so was happy to leave the remainder to the Lightnings. The first Lightning expended his Firestreaks without a hit. The second pair of Lightnings shot past their targets and turned, but had a hard time catching up to the 920kt AS-3 Kangaroos. 131437Z Three more Vampires were launched. 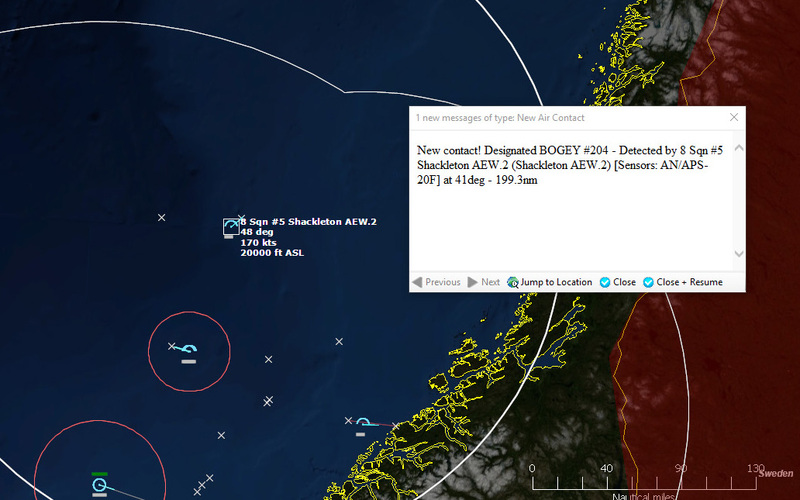 New F-4s from Stornoway were closing in to backup the Lightnings. The Lightnings had failed in their intercepts, so it was up to the F-4s. Gamecock 62 launched its first Sparrows. The Phantoms did well, shooting down five out of six of the Vampires. 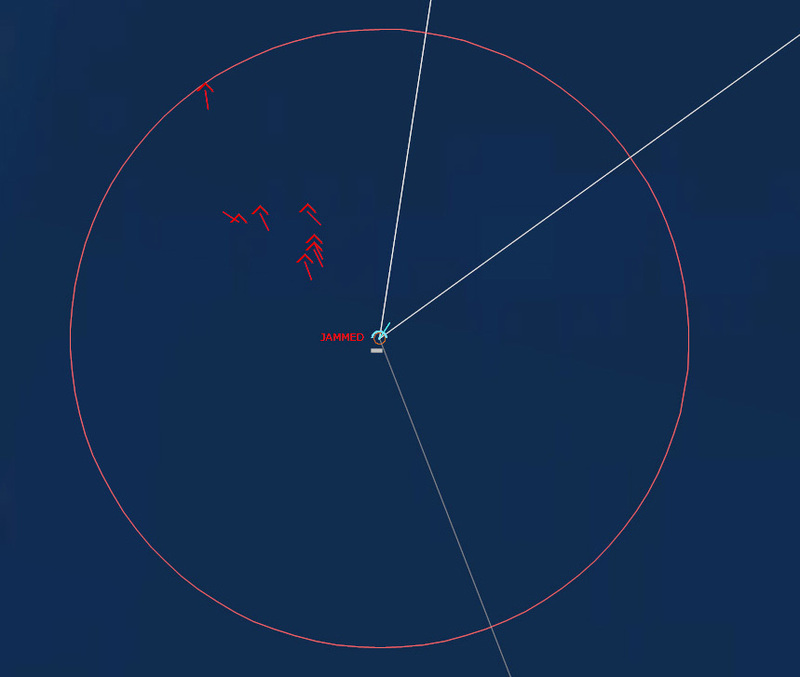 132300Z Three more Bears launched cruise missiles, but this time there were plenty of Phantoms ready to shoot them down. By this time, most of the raid had turned back north. One Lightning shot down two of the missiles, and a Phantom shot down the third. The raid appears to be over...will there be another? "Let's make sure this this is over," Bolling said. "Head north a bit," he ordered the pilot. The Phantoms on CAP were refueling, and most other aircraft were heading back to base to refuel and rearm. But Bolling was concerned another raid might be on the way, and he was determined not to get caught flatfooted. 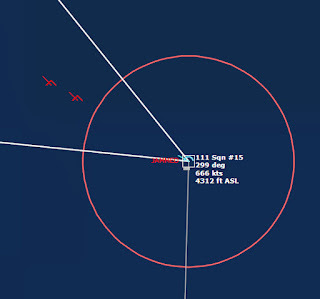 143344Z "Contact, bearing 041 for 199 miles. 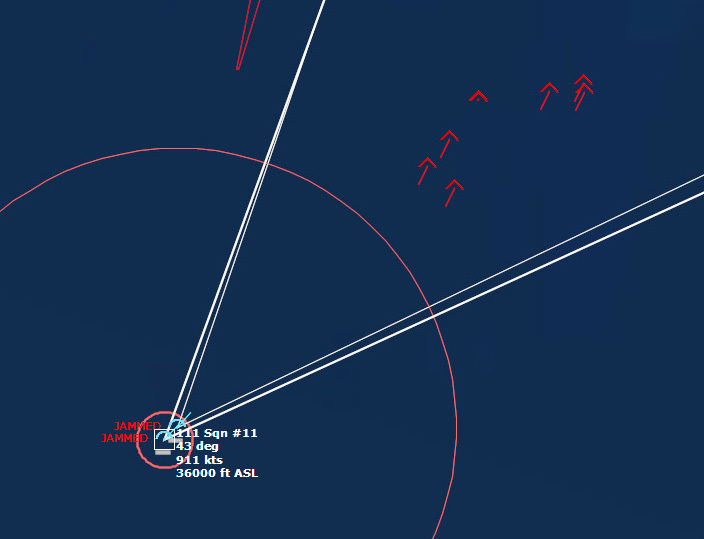 Correction, contact is two-ship." And then, a few minutes later. "Another contact, 344 for 196 miles." 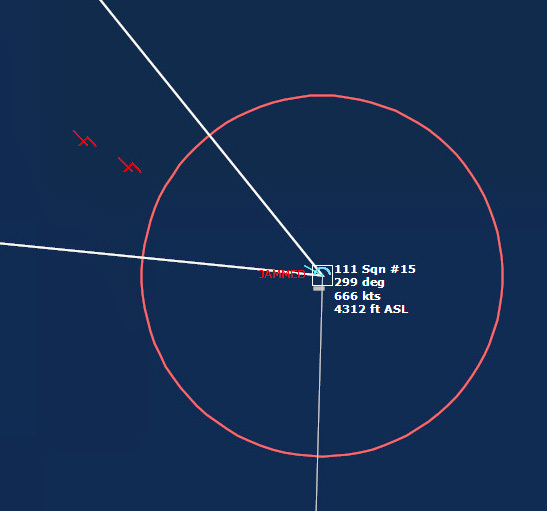 The first two contacts were heading northwest. "What could they be doing?" he thought. "Is it their CAP?" He ordered the Phantoms on CAP to investigate. The Phantoms closed in, and soon it was obvious. The contacts were not the Soviet CAP, but rather than Badger jammer aircraft and their Tankers. The two Phantoms managed to down one tanker and one jammer before they had to break off. In short, I didn't think this was going to be a pure cruise missile attack. 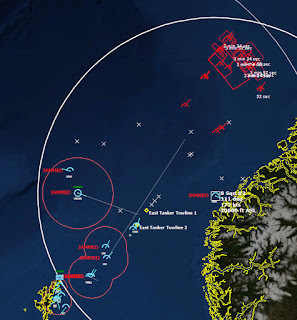 What I was expecting was a multi-axis attack, with coordinated attacks from Iceland and northern Norway, involving some cruise missiles, but also bombers and more short-ranged attacks by the Fencers. 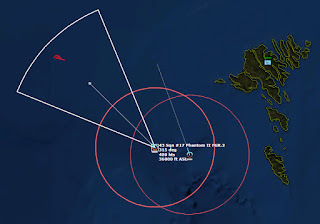 Instead, it was essentially a minor probe from Iceland followed by a major cruise missile attack from northern Norway. 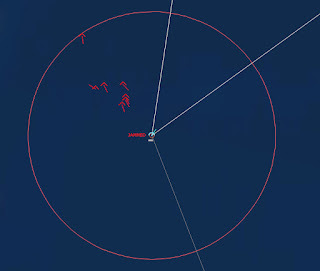 I kept holding back many of my interceptors so as to wait for the raids to get a little closer, but what happened was that the raid simply launched their cruise missiles at 200nm and then turned away (as they do...). My interceptors that were already airborne went Winchester shooting down planes left and right, but because I held so many back, I ended up shooting down only 15 Bears, rather than the 16 that were "required" to advance to the next mission. 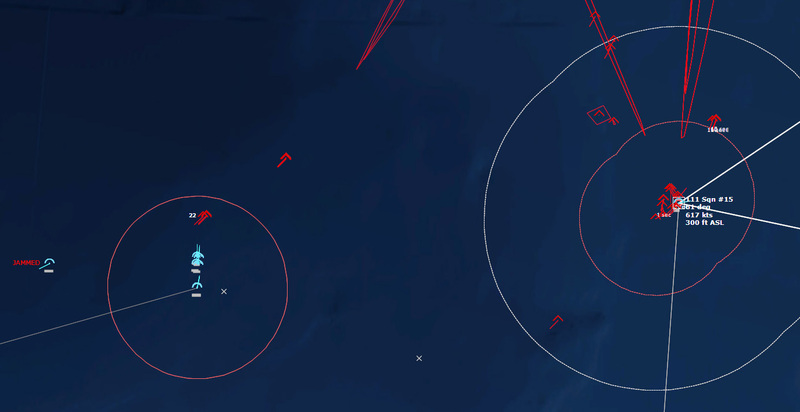 In the end the real victory was that I did not allow any cruise missiles to reach their targets. So I could continue along with the campaign, I replayed the mission, and this time I sent everything I had north to intercept the inbound raid. 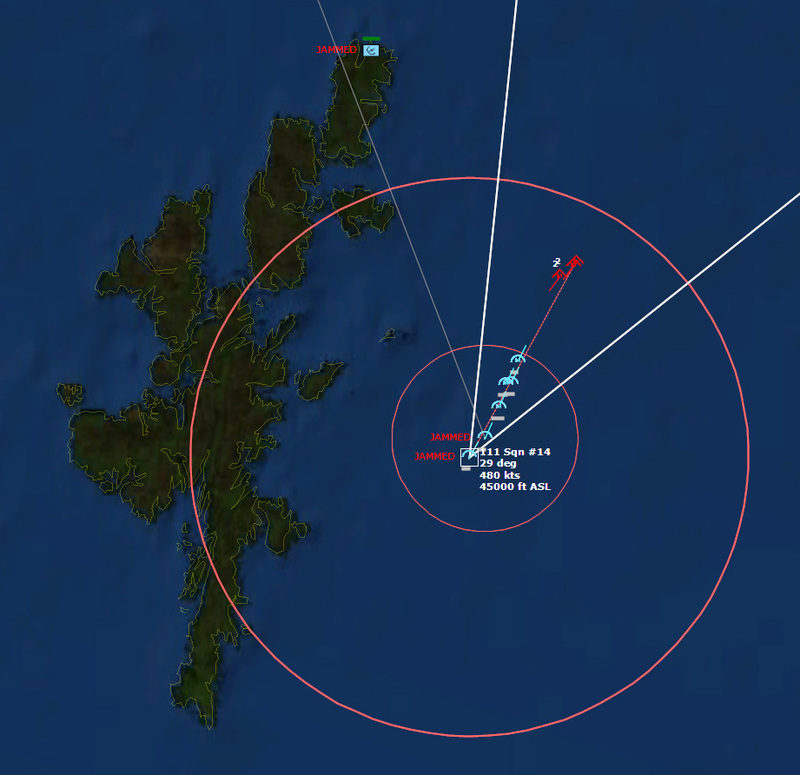 The result was that I shot down a lot more Bears, but a single cruise missile slipped through and hit RAF Lossiemouth. Oops. On to Scenario Ten! Great stuff, shame about Lossiemouth but the RAF have plenty of other air stations!